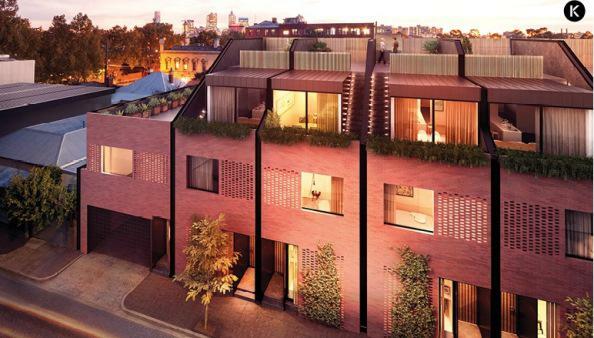 A boutique townhouse development in Melbourne’s Abbotsford has secured almost 70% pre-sales within weeks of launch. The tri-level townhouses offer three bedrooms, three bathrooms and a rooftop terrace. Kalex, a Melbourne-based property development company formed in 2002 by Kyp Bosci and Liam Wallis.